Happy Birthday, Dear Joe Dassin! Thanks for preserving Joe's legacy on this wonderful site! So, what do you call that "Photo of the week" : Joe & Mantis religiosa?!? Descobri Joe Dassin a pouco tempo, tempo suficiente para que sua voz e seu talento me deixassem tão apaixonada! Sou brasileira e estudante do idioma francês. I live in Paris now, but even when I lived in San Diego, California several years ago I was listening to Joe Dassin. What a talent! Such a well-rounded musician. Studied at the prestigious Julliard School of Music, obtained a doctorate degree in another arena and all the while produced such sensitive and sensual music. Despite Joe's passing, his music will live on forever. Merci. I spent most of my teenage years holidaying in the south of France in the 1970's and Joe was a big part of my family's life. We always came back from France with the latest single and introduced him to all of our friends in the UK. We loved him and we miss him. His songs have stood the test of time. Is Indian summer here in New England. Happy birthday, dear Joe Dassin! 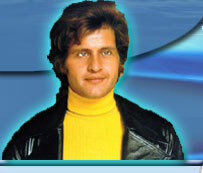 I grew up in Belgium, and Joe Dassin was one of the singers I loved listening to on the radio. This talented singer was taken away from us too quickly. I'm glad his spirit lives on in his sons, and in his songs. Joe era um artista completo inteligente porque ser poliglota na geração dele era dificil mas eu entendo a linha familiar e a inteligencia o fizeram the best ,para mim todo pais tem uma estrela nata e da França era Joe dassin como para os estados Unidos esteve Frank Sinatra e isto que eu penso A Toi. To pay tribute to Joe Dassin reneehubert (YouTube account) made a photobook, with new images, captured from existing clips of our beloved singer-songwriter Joe Dassin. The attached video gives you an impression of the composition of the album. Joe Dassin. Une Vie. Un Anniversaire. 2010 : 30 Ans déjà. Happened on Joe's music on jango and was inspired. As my upbringing brought me in touch with many cultures, I totally fell in love with his music. The songs touch my soul. Wish I could hear or know more blues by Joe. Loved Guitar don't lie. What a voice. Pamiêtam jako dziecko w latach siedemdziesi¹tych piosenki Joe nadawane w programie pierwszym polskiego radia. S³ucha³em je na starym lampowym odbiorniku "Stolica" Radioodbornik ten rozebra³em potem na czêœci i w ten sposób zainteresowa³em siê radiotechnik¹. Radio zmieni³o moje ¿ycie. Jestem krókofalowcem o znaku SP8RHT. Ale piosenek Joe s³ucham nadal i nigdzie nie znajdziecie piêkniejszych, bardziej melodyjnych i pachn¹cych latami siedemdziesi¹tymi utworów. Pozdrawiam serdecznie pamiêtaj¹cych o Joe. UN SALUDO DESDE CHILE EN LATINOAMERICA,SOY UN SEGUIDOR Y FANS DE JOE DASSIN,LA CANCION QUE MAS ME GUSTAES "EN LOS PARQUES DE MI CIUDAD". OJALA ME PUEDAN MANDAR ALGUNA COSA DE EL, AQUI EN CHILE NO HAY MUCHO Y ME GUSTARIA TENER EL DVD. GRACIAS CHAO.